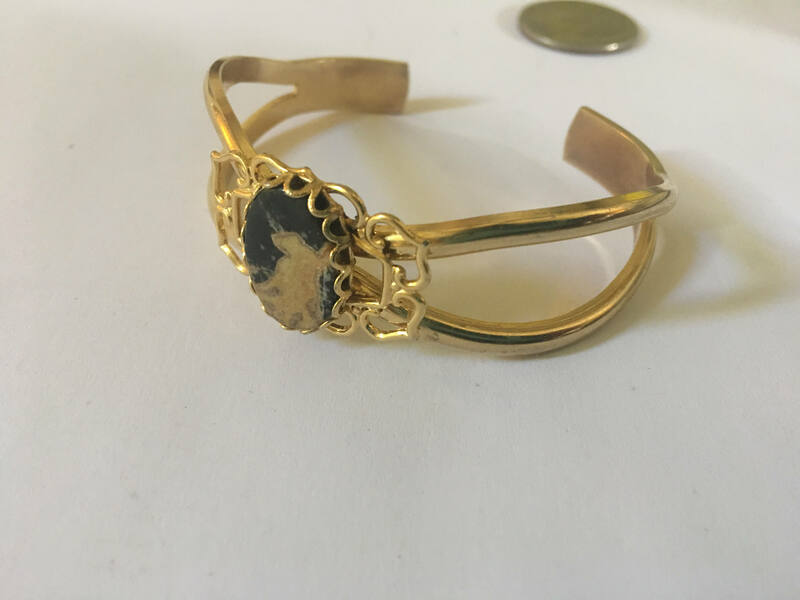 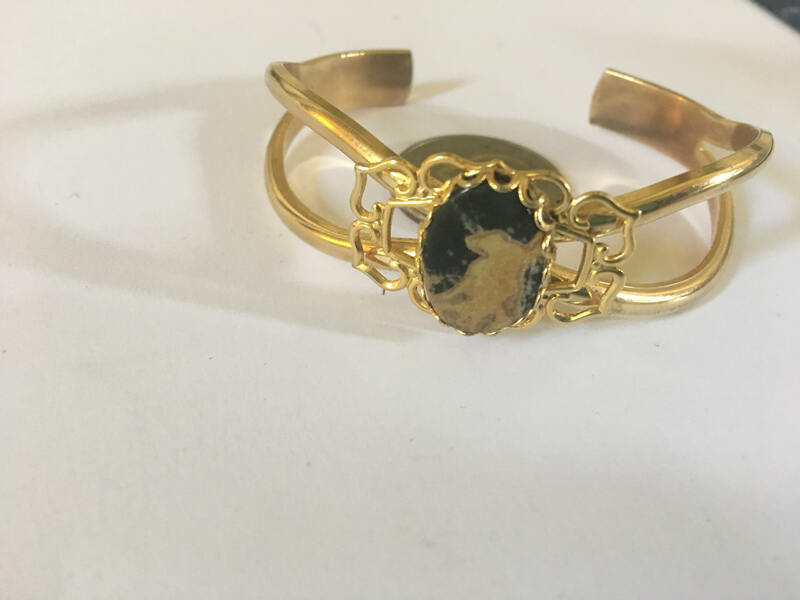 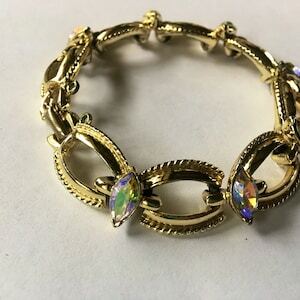 Vintage gold tone cuff bracelet with natural stone in setting. 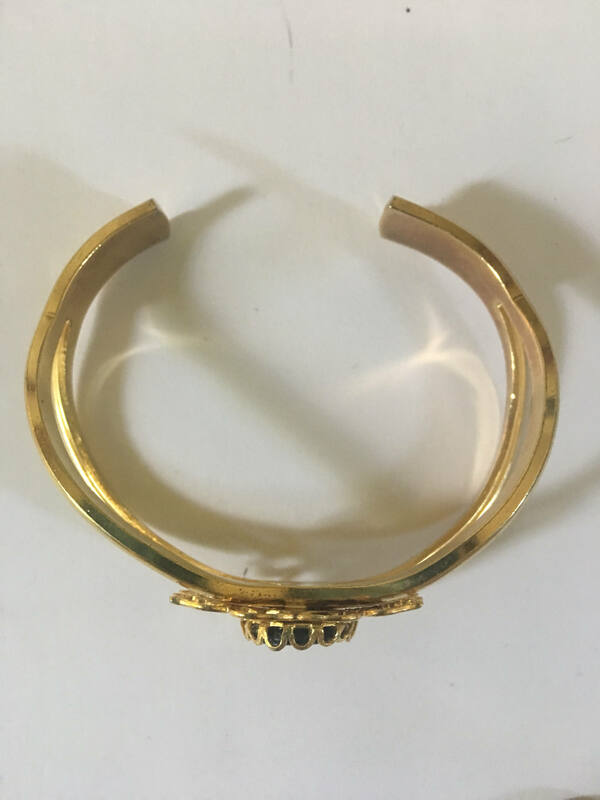 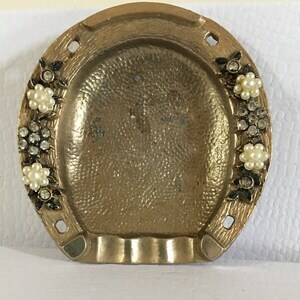 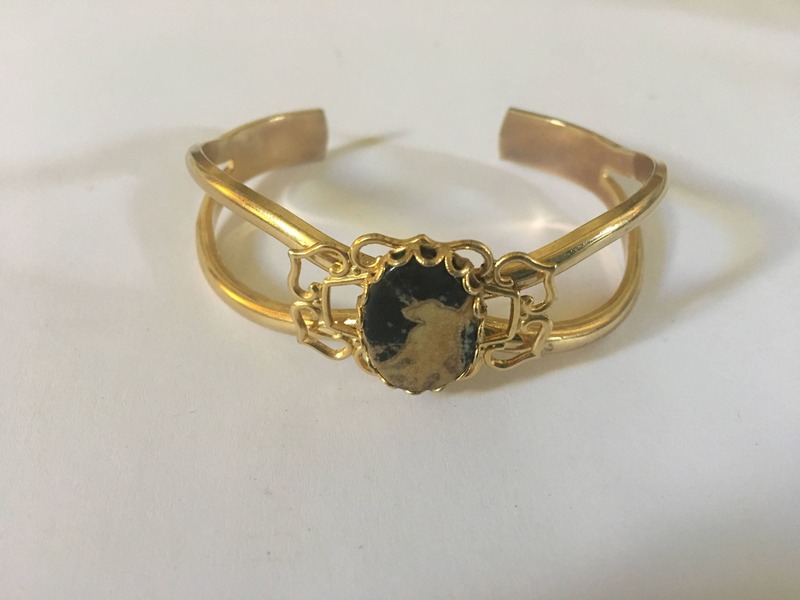 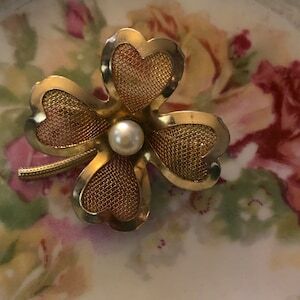 This gorgeous and elegant vintage cuff bracelet is beautifully made in gold tone and a natural beautiful stone inlayed in the middle. 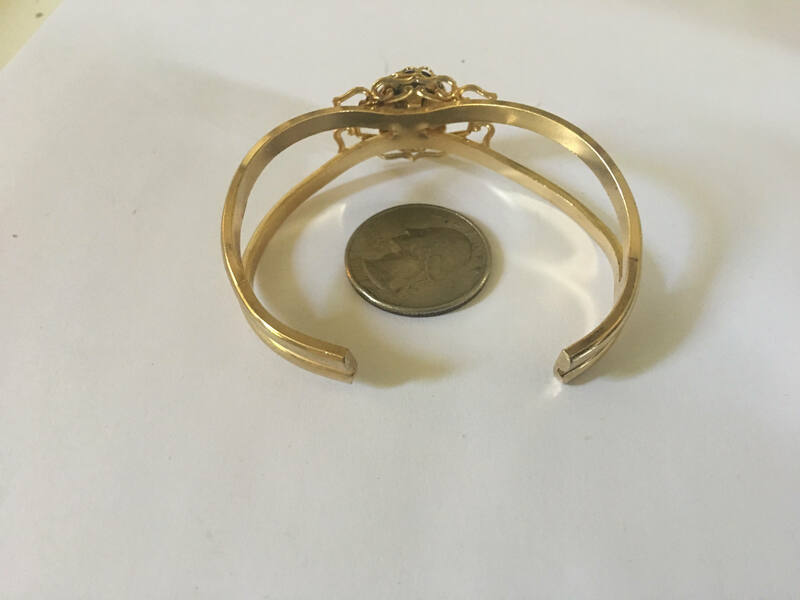 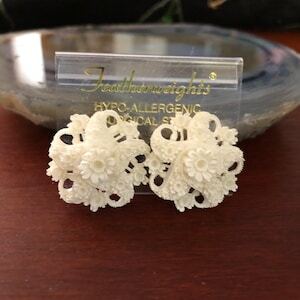 Adjustable to fit any size wrist.